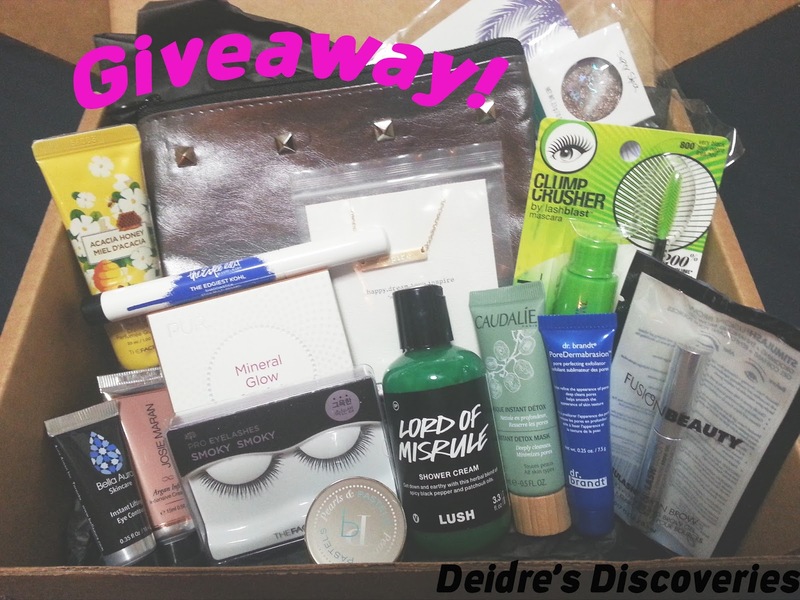 Deidre's Discoveries: My First Giveaway! I've decided since I was picked as Blog of the Month by the Canadian Beauty Blogger network that I am a part of, I wanted to share my happiness in the form of a giveaway! Now, it isn't going to be anything huge - but just a small thank you to my followers! I will have this giveaway open until March 14th, so the winner will be announced on March 15th. Here's what you have the chance win! This giveaway is open to Canadians only! Edit: If you signed up in the beginning, you would have seen that my giveaway timeframe was going to be for the whole month of March, but I found out that Rafflecopter will only allow me to use the entry form for a week, so I had to shorten the time. I hope you all don't mind! I will still be adding more to the box as the month goes on! So good luck to everyone!